I’ve greatly updated my credit card portfolio over the past few months. Prior to that it hadn’t changed for quite a while, while recently it has changed significantly. As a result, I wanted to update this post with the credit cards I currently have, because it’s a useful post to refer people to, and also since I’ve gotten a few new cards lately. For a long time I had roughly the same number of credit cards, though lately I’ve picked up several new cards. Card issuers keep upping their game, and there are so many cards that are worth applying for and holding onto, in my opinion. In this post I wanted to first share a brief intro regarding how applying for credit cards impacts your credit score, then I’ll talk about what goes into my credit card decision making process, and then I’ll share the cards I have open. There are a lot of misconceptions about how credit scores work, in particular people thinking that applying for credit cards hurts your credit score. That’s generally not true, and in many cases applying for cards can even help your credit score. The beginners guide on the blog has a section about credit cards and credit scores, and should provide some insights on that. For context, I have over 20 credit cards, and my credit score is in the top couple of percent nationwide. What’s most important is that you pay your bills on time, don’t utilize too much of your credit (meaning you want to ideally use 20% or less of your total available credit), and keep some cards long term, which will help increase your average age of accounts. The only metric that’s lowered by applying for cards is your requests for new credit, but that makes up just 10% of your score. Furthermore, credit inquiries typically fall off your report after 24 months. Closing credit cards that are no longer working for you potentially doesn’t harm your credit much either. See this post for more on how closing credit cards impacts your credit score. 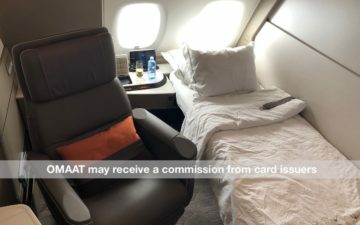 They offer ongoing perks that more than justify the annual fee — some cards are worth holding onto even if you don’t plan on putting much spend on them, because they offer things like elite status, annual free nights, etc. Now let me share what cards I have at the moment. As mentioned above, I have 25 open credit cards right now, which is a few more cards than I had a year ago. The Business Platinum® Card from American Express — this card has a $595 annual fee (Rates & Fees), though offers many perks that help offset it (even if there is some overlap between this and the personal version of the card), though on the most basic level it offers a $200 annual airline fee credit, 10 Gogo wifi passes per year, and more; with the annual fee having recently been raised, I think I’m going to cancel this card when it’s up for renewal, though. Hopefully the above is an interesting rundown of the credit cards I have. I’d like to think that almost all of these credit cards serve a purpose in part of my long term credit card strategy, either because they offer an excellent rewards structure or because they offer perks that make the cards worth holding onto. There are a few cards that I plan on canceling at their account renewal, though I’ll deal with those situations as they arise. As you can see, my credit score is also excellent in spite of how many credit cards I have, which should hopefully put some of you at ease who are considering applying for new cards. How many credit cards do you have right now? The following links will direct you to the rates and fees for mentioned American Express Cards. These include: The Blue Business℠ Plus Credit Card from American Express (Rates & Fees), The Business Platinum® Card from American Express (Rates & Fees), The Platinum Card® from American Express (Rates & Fees), and Marriott Bonvoy Business Card From American Express (Rates & Fees). Garment Bag: Carry-On Or Personal Item? Hey Lucky, I love these posts! I’m always interested with what your credit card situation is. Do you pay the annual fee for all those cards? I really want to like the AmEx platinum, but I find what’s supposed to be a VIP experience is ruined by all sorts of ‘gotchas’ on the card. Centurion Lounge access is great -when- it works, but recently that’s just not been the case, with overcrowding at SFO and SEA leading to bizarre access rules (essentially 80 minutes before boarding ) when you need it the most (aka the airport is a zoo or you’re on standby) Now that they won’t let you in without a confirmed seat assignment it’s a double whammy, especially at airports like LGA where the lounge is airside. This balanced by the fact the lounges are insanely overcrowded and feel more like a daycare center than a relaxing place. The Uber credit is, let’s be real, useless. Same with the Saks credit. They’re better than nothing, but doling these out in tiny fragments feel like a lot of work for something that should just be a nice benefit. The airline credit… I have no idea what it’s for aside from buying airline gift cards. My lounge membership for Alaska apparently didn’t count (only daypasses?) and they’re kind of snippy about it when you bring it up. Points earning is awesome for airfare, but travel protection benefits are next to nil next to the CSR, so aside from small throwaway trips I find the CSR is my goto for airfare almost every time. @Lucky, I’m curious about two things. First, are you planning on keeping the Hilton Ascend card long-term? 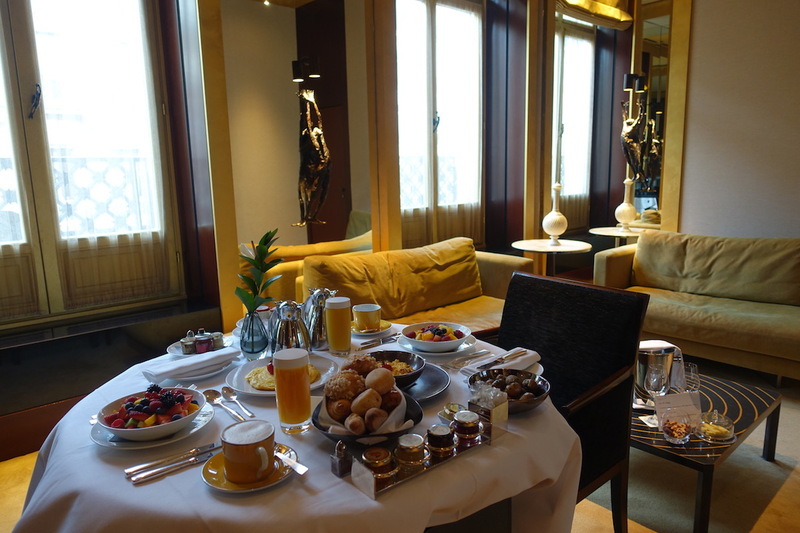 The biggest benefit is HH Gold, which you already get with your Amex Plat. If you already have Gold, it seems to me that it’s only worth having for the 10 PP visits (when you need to bring in more than 2 guests). Second, are you planning on getting the IHG Premier card for the 4th night free benefit (and anniversary night)? It seems like Chase is moving towards restricting the number of cards within the same family to one (like the Sapphire, Hyatt, and Southwest lines). Perhaps now’s the time to get the IHG Premier, or you might have to eventually give up the IHG Select if you wanted to get the new product. It is my understanding that the BA 10% discount is no longer being honored. At least ffrom my experience. Was this just an anomaly, or has the discount been discontinued? @Lucky How do you insure all of your cards stay active? Do you put minimal spend on cards you rarely use every couple of months? 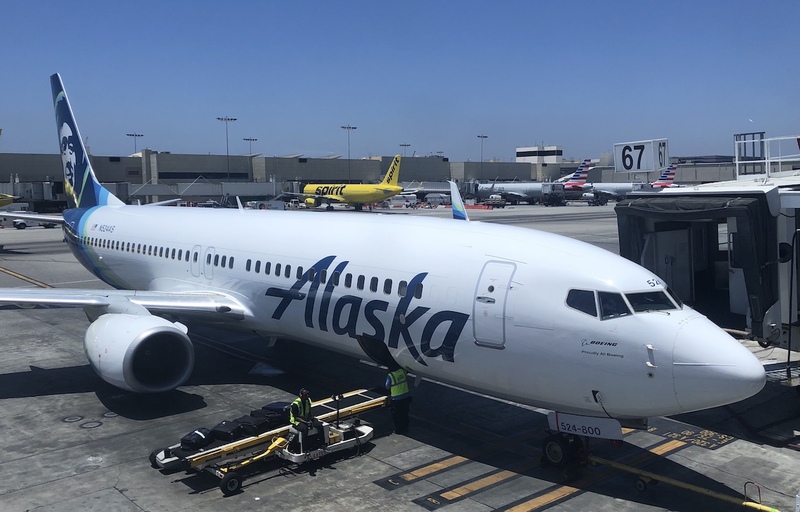 Alpha – the Amex Plat works best when you can get a lot of use out of Delta lounges as well as the Centurion lounge. I use the airline credits for AA day passes, and the Uber credits are useful to me. As a Delta/AA flier and a general hotel agnostic traveler who books 75% of travel on a corporate card, this should cover all of the bases. I am also working on upgrading into the Freedom Unlimited/CSR combo. If anyone has suggestions let me know. When Ford travels with u WHO pays ?? 14 cards 820 Fico No job 11 years . Hate the Rich !! Vote for Bernie 2020 . Seriously how do you put so much spend on this many cards to justify keeping all of them. I have trouble enough with three cards. OK, the crappiest card is probably the Radisson Visa. How much spend in ’18? Under $200? The credit scores posted are FAKO scores from Credit Karma. It is very likely that his actual FICO scores, especially Experian, are lower. Umm, what is your credit score like with 31 cards? @ dirk — Zero. It’s a card I have solely for the 40,000 points it offers per year. @ Michael — Hah, in fairness I have three wallets, though between them all the cards are indeed in there. @ Mr G — In the case of a lot of these cards I don’t actually put spend on them, but rather I keep many of them for the benefits they offer. @ Craig U — In many cases I don’t put any spend on the cards, and I’ve never had a card closed down due to lack of activity. Maybe I’m just lucky. @ David — Hmmm, it’s still a published benefit, so that would be news to me. @ Tennen — Great questions! I’m thinking I’ll eventually upgrade from the Hilton Ascend to the Hilton Aspire, for the Diamond status and other perks. That seems more worthwhile in my specific circumstances. You’re correct that I already get Gold status through the Amex Platinum, so there’s limited value there. And yep, I plan to get the IHG Premier Card for the fourth night free and for the second anniversary free night certificate. While there is that restriction with Hyatt, Sapphire, Southwest, and Marriott Cards, it’s still possible to get both IHG Cards. @ AndieNarwhal — Yep, for those that have annual fees and I’ve had them for over a year, I sure do pay the fees. I have 11 cards, planning to downgrade one, cancel two and add one more this year for a total of ten. Total fees of around $400. Only five of these are used directly for travel. I have two cards that are not remotely travel connected – my Amazon 5% cash back card and my Apple Rewards card (free financing and generous gift cards with purchases – new MacBook Pro coming soon!). I’m at 3/24 and anticipating the next great Chase offer! I’m amazed that Lucky and others can optimize rewards on so many cards. I had my Citi double cash and capital one shutdown because of inactivity. No appeal possible. Thanks for the reply. Even though what I was booking was RT and on all BA metal, for some reason it didn’t go through. A point to mention for those who use the new BA site. Even if you’re booking a round trip, use the multi city search function. This take you to the old version of the site and allow you to add the discount code. For whatever reason It didn’t work for my particular itinerary, but hopefully will work for others. I thought you got yourself the 100k Marriott card. You said that’s your aim after you hit 4/24. @Lucky: You forgot to mention that the Citi Prestige® Card’s AWESOME lounge benefit through Priority Pass!! Also, if you have a Citi checking account the annual fee is only $350 (instead of $450), then after the $250 in travel benefits I’m essentially paying $100.00 for a year’s worth of Priority Pass lounge access; not bad! And, for the first time ever I was able to use my 4th night free benefit which saved me $119, so I think I’m ahead of this this year. I’m a DL and AA flyer. Elite with both. Presently a paid member of the Admirals Club. Have a Platinum Delta Amex. 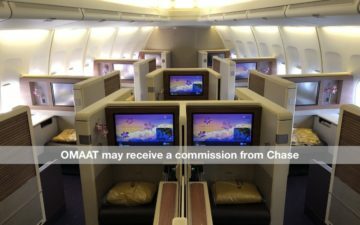 Recently got an “upgrade offer” for a Reserve DL Amex. But thinking of both the Platinum Amex and Chase Sapphire Reserve. Wondering what makes most sense. I like that the Amex would give DL club access and PP lounges. I like that the Chase has PP and also good points for dining/travel, which are big categories for me. How to pick between the two? Any reason to consider the Reserve? I’d been thinking of cancelling the DL-specific card and moving to one of the others. @ Kerri — Happy you’ve had a good experience with the Citi Prestige as well. The card does have a good Priority Pass benefit, though the reason I didn’t specifically call it out is because I get a similar benefit through several other cards. @ eskimo — Correct, I was going to get it after I hit 5/24, but I only get to that point in a couple of months, so haven’t been able to apply for it yet. @ dcaflyer — That’s a great question. Let’s start with this — you say you’re a paid member of the Admirals Club? 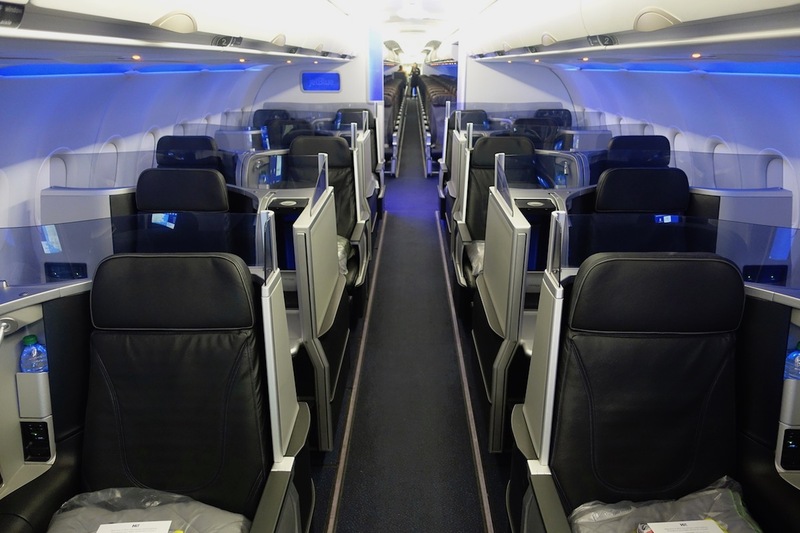 Have you considered getting the Citi Executive AAdvantage Card? 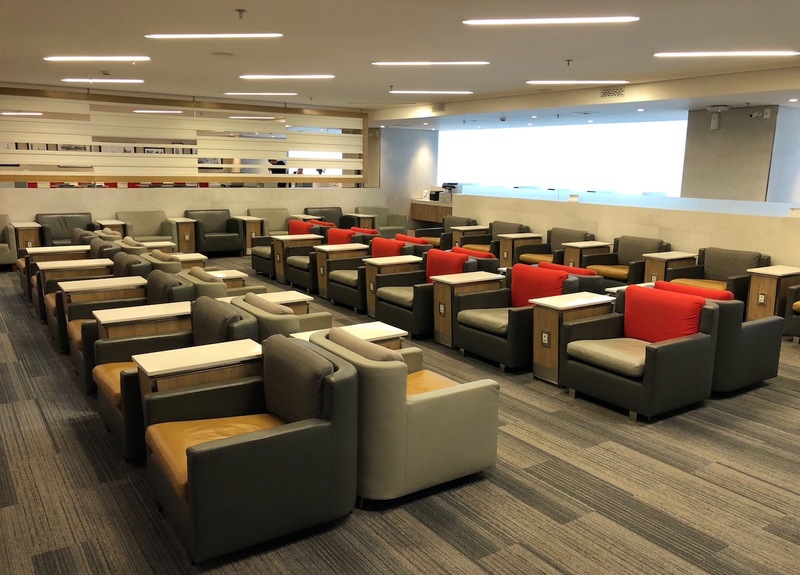 It has a $450 annual fee (the lowest cost of an Admirals Club membership), and you get a Priority Pass membership, and can add 10 authorized users at no cost, and they get Admirals Club access as well. I mention that because then a Priority Pass membership would no longer be a point of consideration with these cards. Personally I think it could make sense to get the Amex Platinum and the Reserve. While that’s a lot of annual fees, you’re looking at a $300 annual travel credit, $200 annual airline fee credit, $200 annual Uber credit, $100 annual Saks credit, and a lot more. Just ordered Hilton Ascend for my wife, when I noticed 100,000 points for a measly $2,000 spend AND, 10 complimentary visits to Priority Pass Clubs. Since I already have the card, we both have 20 credits annually. That makes the $95 annual fee seem like a bargain. Regarding the Hilton Ascend Priority Pass access. For the 10 complimentary visits, is it limited to the passholder or can s/he bring guests? Eg. does the passholder have access to PP lounges on 10 separate visits, or could s/he go once and bring nine friends? Congrats – your “trips” (3 wallets) are legal! Solid portfolio. My only questions are: why the Radisson – what type property do you specifically use the 40k annual points for & receive good value? And: you don’t have even 1 solid 2x cash back card to use for trip incidentals, etc. In place of your Radisson I have a Wyndham Rewards card. The $75 fee is the same as the Radisson & the 9,000 annual points also more than covers the fee ($108 WR v $160 RR). But I think Wyndham’s portfolio is much stronger and (can be) nicer than Radisson’s. Anyways, just curious how/why the Radisson card with all the other premiums you own. @ Pam — To be honest I’ve been hoarding Radisson points. I haven’t actually used them, but I figure at the rate of $75 per 40,000 points, it’s tough to go wrong, and eventually I’ll find a use for them, as I keep collecting more. There are some places in Northern Europe where Radisson properties are the best options. And nope, I don’t have a 2% cash back card that I use. Personally I’d rather earn 1.5x points with the Amex EveryDay Preferred or Freedom Unlimited, since I value those points at more than 2%. 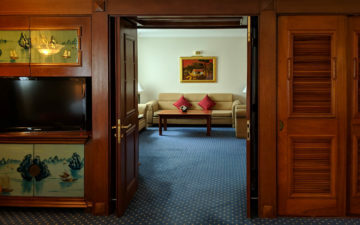 Didn’t know that about N Europe & Radisson – thx! 1.5x on all spend on the FU cashes out at only 1 cent (no bonus categories), whereas a 2x cash card cashes out at 2 cents. I personally only use my URs for transferring to the CSR for more value (as you also state) but still find it helpful to have a good cash back card to liquidate periodically for extra spend money on vacation. Thanks again! @Kerri Be aware, after next year, they will be raising the annual fee to $495 if you are not a Citi Gold account holder. Standard, Citi Priority, .etc accounts are being targeted. What? I thought Lucky @Lucky has the Hilton Aspire already and not the Ascend. Was that not written in many of your posts including this post as well? For keeping cards active, just put a small spend on once per year. I have a calendar reminder for the summer to do a card rotation. I’ll put small purchases, say $3-$10 on my various sock drawer cards then call it good for another year. You guys in America have so much more choice than in the UK . Also I have no idea how you Remember the pins for all those cards, I get confused with my card pins and I only have three credit cards. No Amex Gold card yet? What are your thoughts on getting it now. I previously was going to pass because had the PRG previously so not eligible for the sign up bonus, but got a 50k offer this week in my Amex account so bit the bullet. For me, the airfare credit, food delivery credit and 20% back at restaurants should cover the annual fee. I thought that you had the Chase Hyatt card as well? Are you sure it is correct? I thought that it only came with Admirals Club (and NOT PP) membership (I have the card). @ Nick — Most of our credit cards don’t have pins; the ones that do are only upon request. Bank (debit) cards have pins if you’re pulling cash from a machine, but pretty much everything here is signature-based. Hi @Lucky. I have got the American Express Preferred Reward Gold Credit Card (UK) after recommendations from your amazing blog. I have a question about credit utilisation. If I use up my credit card limit and then repay before my statement is generated, does it affect my credit score? For example, let’s say my limit is £2000. If I have used the £2000 credit and repaid it so that my balance is back to 0, can I use up another chunk of the credit before the end of that billing month? I always stay below the 30% of my credit limit when my statement is generated. @Hilton LAX. Lol, so true. @Pam the Freedom Unlimited earns 1.5x points, move the points to Sapphire Reserve and can cash out at $0.015, so 1.5*.015=2.25% cash back. @lucky, just the personal Alaska card? Any reason you haven’t doubled down and got the business version? I was debating getting the business over the personal to save my 5/24. Lucky, regarding the Amex Everyday Preferred, do you find it good value considering the $95 AF? With your travel, I would imagine it is pretty hard to meet the 30 transactions threshold every billing cycle. Would not the Amex Gold with fixed 4x on dining and groceries be more lucrative? If you use both its statement credit categories, it ends up cheaper than the AEP. @lucky, I signed up for the Amex Platinum Card last year based on your recommendation. Although I am keeping the card (and the 200K points I racked up this year) it has become somewhat less valuable to me based on a change Uber made. The way it used to work is that I would receive an Uber statement credit every month. Now you have to explicitly use something called Uber Cash to take advantage of the benefit. This may seem like a small change but for me it is a big deal. My kids are on my Uber account and they use it more than I do. As far as I know I cannot share the benefit with my family. I would love to have you prove me wrong. PS: Thank you for a great newsletter. I love these posts – keep a watch out for them because they are so fun to read. Love going through the logic of having each card…I’ve picked up 11/25 you do (plus a few others). Lucky, card companies should send you more $ than they already do – hope they know what a great influencer you are – thanks for the update! For those of us Americans that find travelling without a pin on our cards difficult, if you have a recent iPhone putting your cards on Apple Pay (and using it with the Face ID) will often sort that issue out, especially for smaller transactions in countries used to tapping. I do have a question: if you already have a card with an institution (say AMEX) do you get hit with a credit inquiry penalty if you get a second or third card with them? My dilemma is my Sapphire Reserve is so useful a huge chunk of my spend is on it and some months I look like I’m over-utilizing my credit even though I pay all my cards off every month. @Mark- Just an FYI, if you have an amex and apply but are denied, you do NOT get a hard pull. 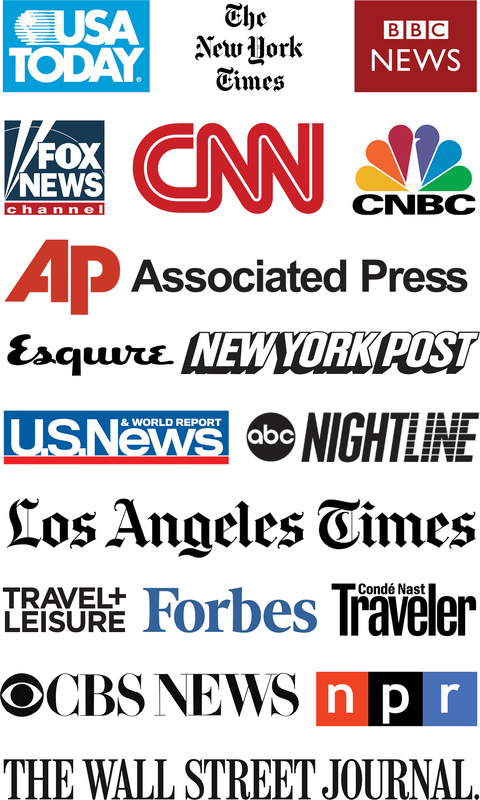 However, all NEW cards come with a hard pull, and some creditors (like capital one) will pull more than one reporter. @lucky – Do you actually carry around all 25 cards in your wallet? Hey Lucky! What wallet do you have? Sounds like a pretty thick wallet. My brain hurts trying to think of how to optimize spend on 25 different cards at once. I usually hit a sign up bonus and move on. I’d be interested in knowing how many inquiries you currently have with that high credit score and your average account age? Lucky – got a question about the Hyatt card, which I’m considering. It gives you Discoverist plus 5 nights toward the next tier (which is Globalist, 20 nights more than Discoverist), right? So then you only need 15 nights for Globalist? Which you can get with $40,000 spend (2 nights for every 5K)? Was just wondering if I am missing something, such as the 5 free nights toward status start from zero, in which case it doesn’t really give anything. If I can get the card and spend 40K each year for Globalist, it makes it worthwhile. Also, when you qualify for Hyatt, is it good through the next year (so that I can qualify for almost two years at a time by spending 40K at the beginning of the year)?